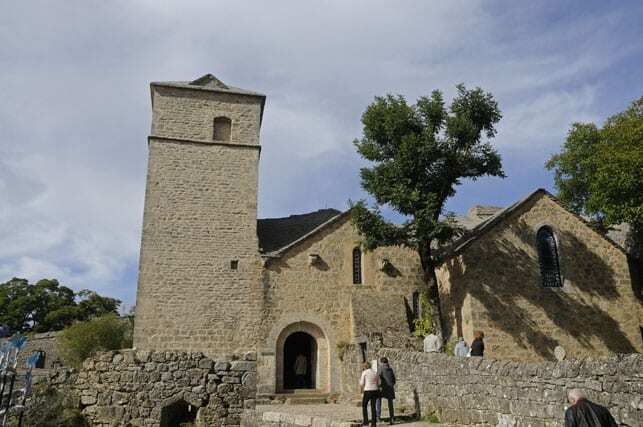 There might well not be another region in France where beautiful and wild landscapes, medieval architecture and Christian history meet as they do in Larzac in the southwest part of the Massif Central. 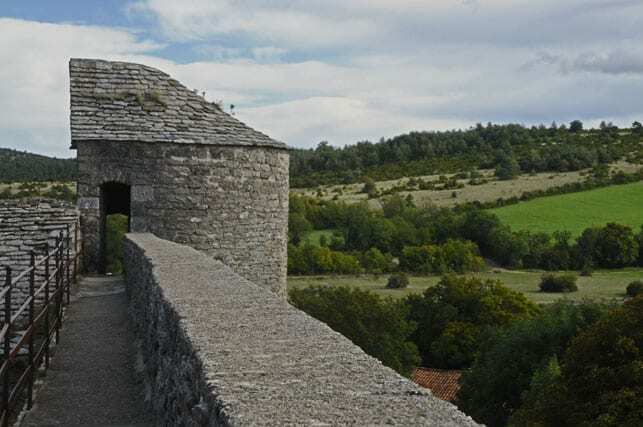 Mostly during the 12th century the Knights Templar built “Commanderies”, their Templar bases throughout Europe: England, Scotland, Ireland, Germany, Italy, Poland, Hungary… and of course France where they had over 700 strongholds. Among the very few commanderies that are still in good condition several of them are gathered on a small territory that you can easily visit within a few days. During Middle Ages many Christians from Europe dreamt of the Holy Land and went on a pilgrimage to Jerusalem. This approximately 7.500 miles long roundtrip by foot and by boat took them several years and was pretty dangerous: once in the Middle East they were frequently attacked by brigands who robed, killed or sold them as slaves. In 1095 Pope Urban II called for a crusade in order to secure the way to Jerusalem and to free the Holy Land from the “infidels”. That’s how thousands of Europeans, rich or poor, aristocrats or commoners left their homeland to join the first crusade. Led by Godefroy de Bouillon the crusaders Conquered Jerusalem in 1099. In spite of this victory the pilgrimage to the Holy Land was still unsafe, so to ensure the pilgrims’ security, in 1118 the “army of Christ” was created by French knights. This army was made of “monks-knights” and thus the Order of the Knights Templar started its incredibly fast growing power. They not only secured the roads and the Holy Places in Palestine such as Bethlehem, Nazareth, Mount of Olives, the Calvary’ s Hill or the Holy Sepulchre, they also became traders selling in Europe oriental luxury products such as silks and spices accumulating wealth. They also became bankers, lending money to pilgrims, crusaders, traders, other congregations, aristocrats and European kings. They even paid the ransom for king Louis IX’s freedom when he was taken prisoner by the “infidels”. Of course they took part in the following crusades and fought along with Richard the Lion Heart during the 3rd crusade (1189- 1192). In the following decades fighting went on and little by little the crusaders lost one stronghold after the other until they finally lost Acre, defeated by the Muslim army led by Saladin in 1291. This was the end of the Christian armies presence in Palestine after almost two centuries and with it came the Knights Templar’s decline. At that time the order had 15.000 men including 1.500 knights and was a strong military and economic power. The European kingdoms as well as the Pope began to feel threatened by this power and it was soon decided that they should disappear. On 13 October 1307 by order of the French king Philippe le Bel all the “monks-knights” were arrested and the king seized their wealth thus replenishing his empty treasury… After being forced under torture to confess many crimes and sins and after a rigged trial they were all sentenced to death. On 18 March 1314 the last knights Templar including their Grand Master, Jacques de Molay, were burnt at the stake. Later all the “commanderies” were given to the Knights Hospitallers who made them grow and thrive. This was the time when legends started to spread about the Knights Templar. It is said that on the stake Jacques de Molay cursed the king, the Pope and their issue. And indeed Pope Clement V died in April 1314, Philippe le Bel died in November 1314 and his three sons died during the following years. Of course there were many rumours about their huge treasure and ever since the 14th century countless treasure hunters tried their luck… without any success! It is also said that the Holy Grail was found in Jerusalem Temple by the Knights Templar and brought back to France. It was later taken to Scotland by the few surviving knights and hidden in Rosslyn Chapel. But once again this is just a legend. Last but not least if we still think that Friday the 13th brings bad luck, this is because the Knights were arrested on Friday the 13th of October 1307. Today, 700 years after their disappearance, we can still get a direct testimony of their history by visiting the last commanderies that have come down through the centuries with all their authenticity. 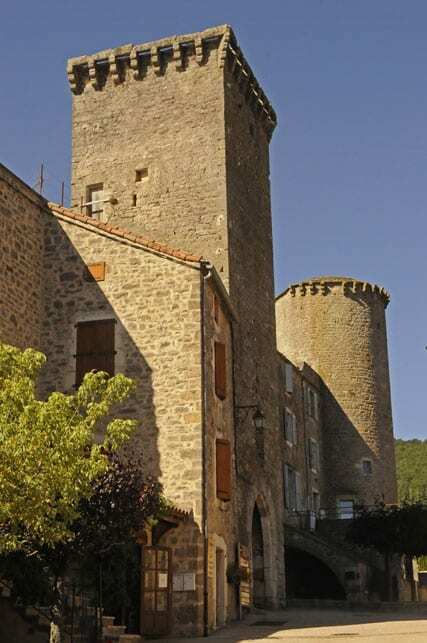 In French Aveyron, five of them are still in good condition and can easily be reached in a few minutes drive from the A75 highway and the beautiful and famous Millau Viaduct. The “Couvertoirade” is an absolute must see. 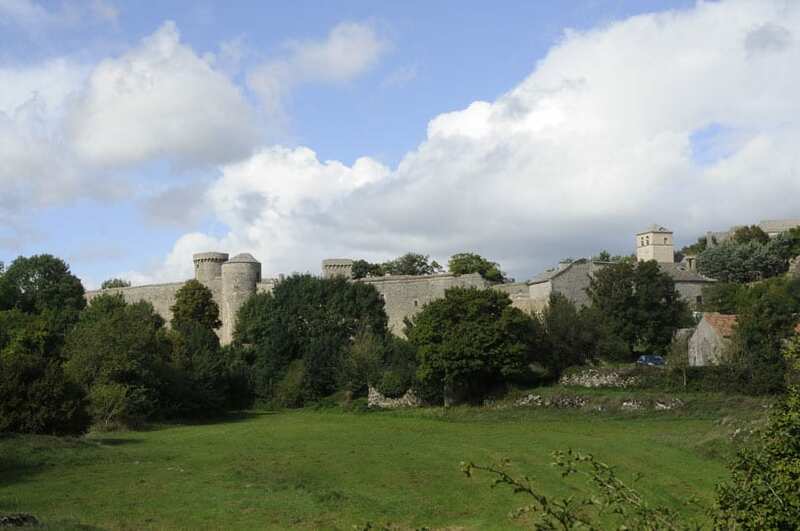 This small medieval village is entirely surrounded by high ramparts dominated by 5 round or square towers. 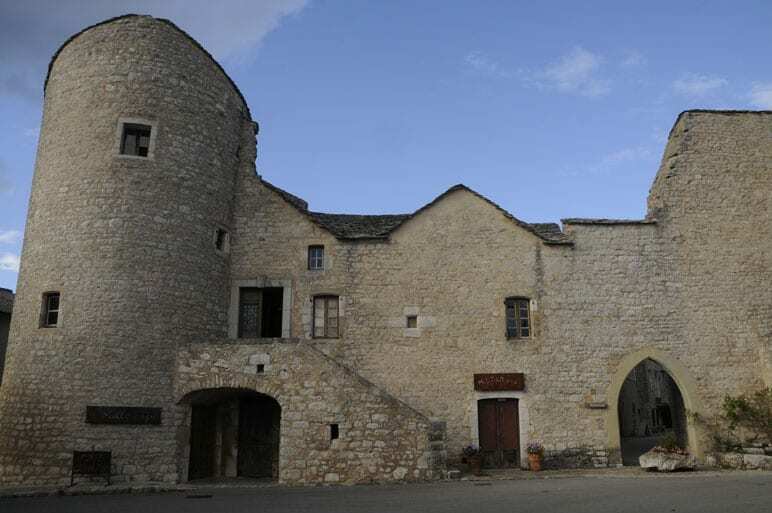 It has been awarded as one of the “Most Beautiful villages in France” and was one of the most important of all the French commanderies. 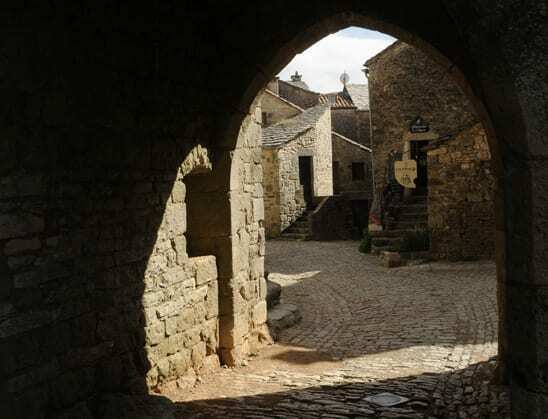 With its narrow cobbled streets, its ramparts, its Roman church, its Templar castle perched on a rocky spur and its sober stone houses, the village takes you back in time. 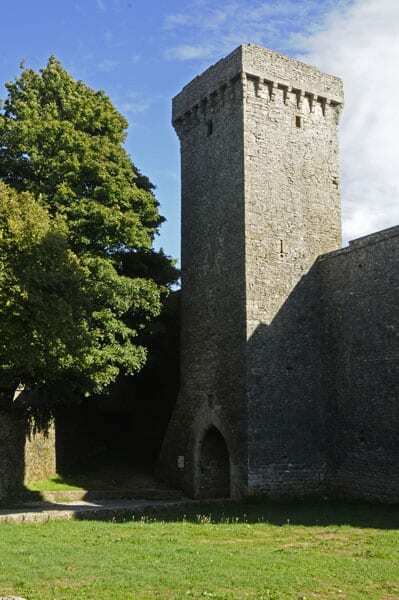 Don’t forget to climb up the ramparts and walk around on the sentry walk from which you will get a wonderful view over the surrounding countryside and over the stone roofs called lauze waving under your feet like a dark mineral sea. 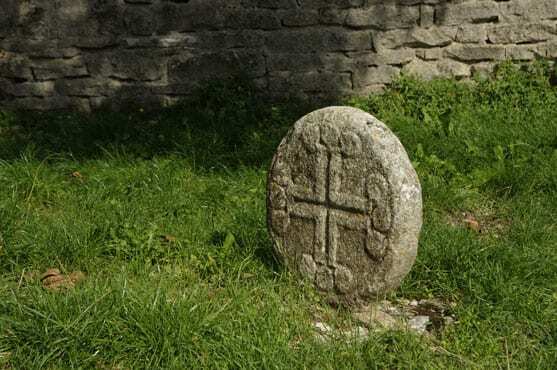 Next to the church a small cemetery still shelters Templar tombstones and their unmistakable cross, included in a round stone. 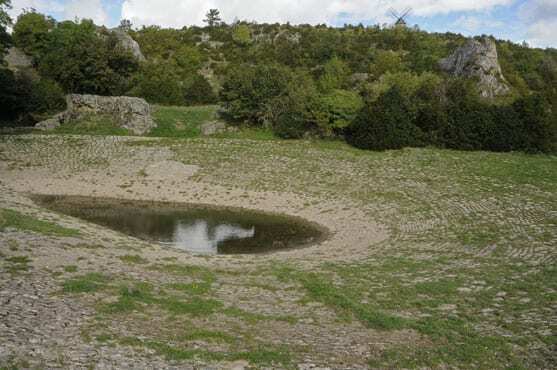 Coming out of the village walk around the ramparts to get to an unusual sheep watering place called lavogne in the local patois, made from a natural pond entirely stone-lined by shepherds to collect and retain rainwater. 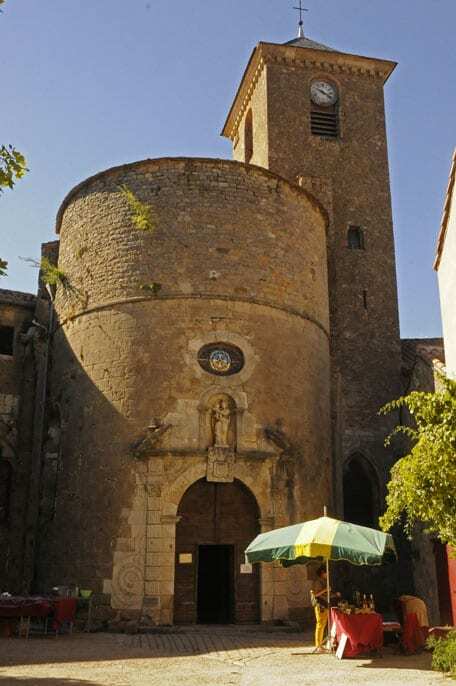 Sainte Eulalie de Cernon also was an important rear base for the Knights in order to finance their activities in the Holy Land as well as to recruit and train new brothers. 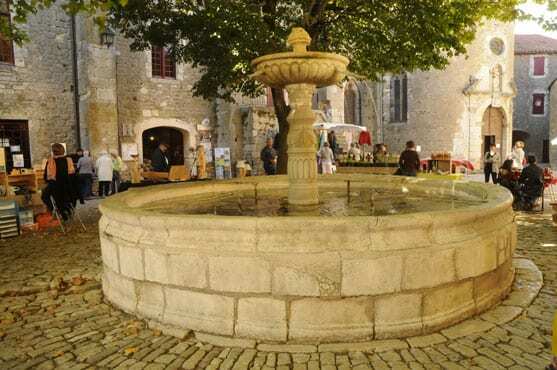 Here too, the village is surrounded with ramparts and once inside you will walk up to its heart, the Commanderie Square with its beautiful round fountain. Have a look on the beautiful church’s porch and its strange arabesque before getting inside the commandery with its impressive medieval architecture. Ste Eulalie is well known for its skilful craftsmen. 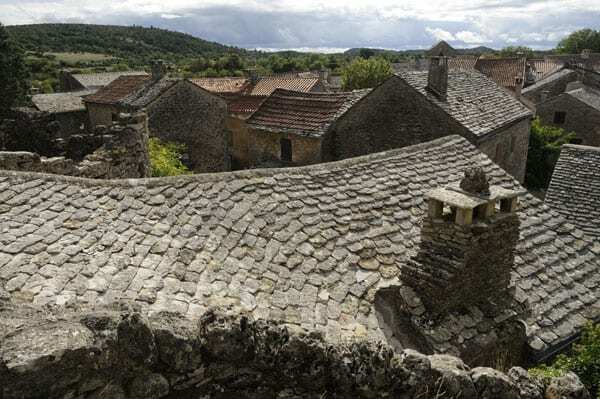 Larzac is renowned for the revival of old craft making, knives-forging, leather working and tasty specialities such as organic honey and all kind of liquors. 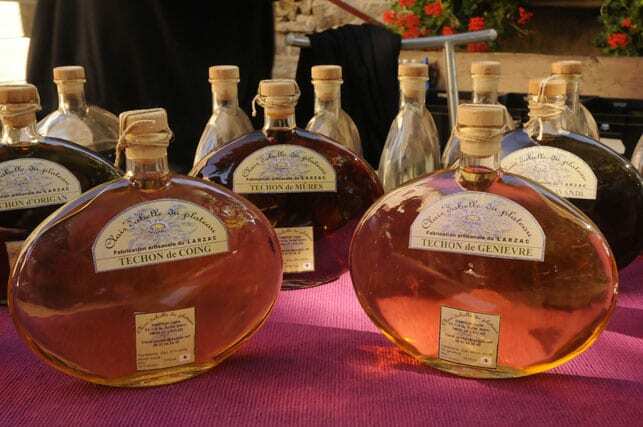 If you visit Ste Eulalie on a market day try to meet Claire Randon who spends hours to pick up wild flowers, herbs and berries to make liquors called “Techon’: juniper berry, blackberry, lavender, quince, oregano… Make your choice. (contact at claire.randon@laposte.net). Other Knight Templar sites are close by. If you still have time, go to the “Cavalerie”, “La Viala du Pas de Jaux” or to “Saint Jean d’Alcas”. 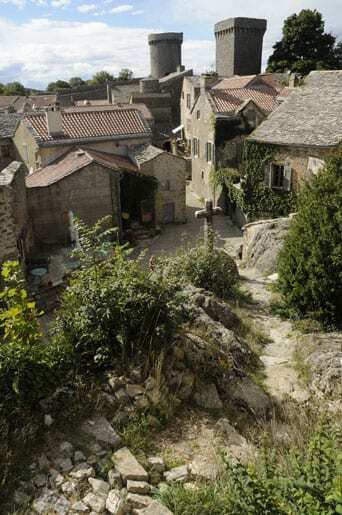 Apart from being immersed in history visiting the Templar villages will be a good opportunity to discover this little known yet spectacular French region. To get there, Montpellier International is the closet airport with several weekly EasyJet flights from UK. 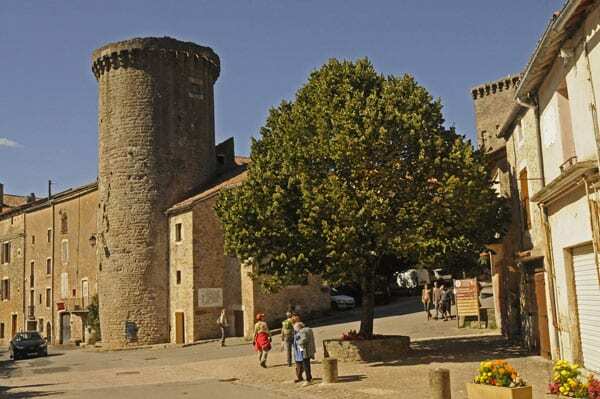 From there, rent a car and in less than an hour on the A 75 highway you will get to the Larzac commanderies.